Wonderful, unfortunately, I have to wait for several weeks before I haverst my peas. 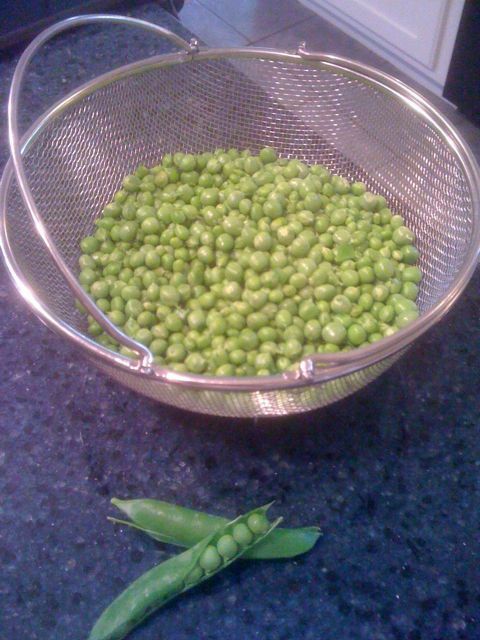 What variety of shelling peas do you grow? Green Arrow from Southern Exposure Seed Exchange (where I get most of my seeds from). They say they are a dwarf variety but they’re a good 5-6′ up the trellis.